Welcome to the Heart of Oklahoma City! 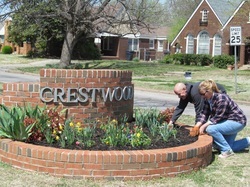 Crestwood is a neighborhood in the urban core of Oklahoma City. 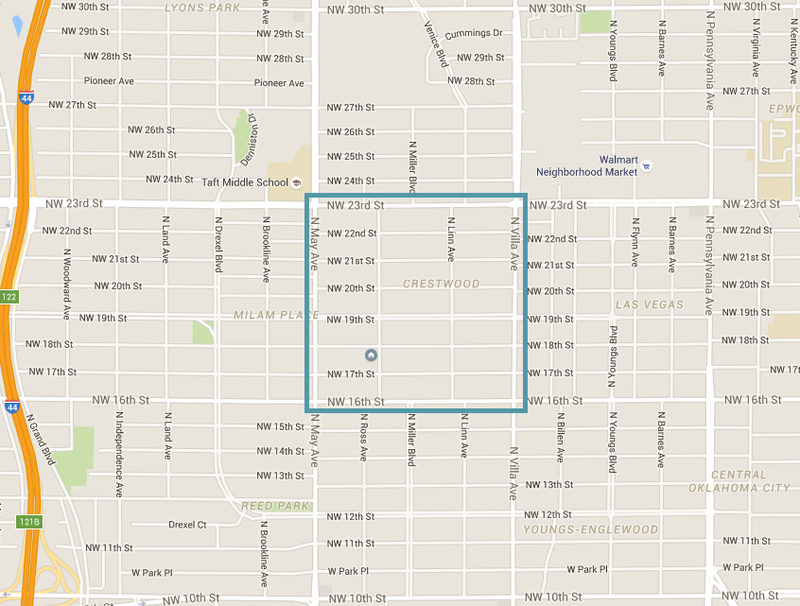 It is bordered by NW 16th and NW 23rd Streets to the south and north and North May and North Villa Avenues to the west and east, but it is not easily boxed in. Our neighborhood is defined by eclecticism. We are different people with different homes forming a community together. 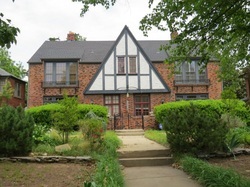 The Crestwood Neighborhood Association strives to create a bond between all those who dwell in this unique historic neighborhood. 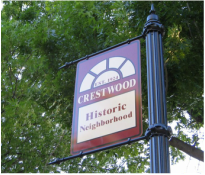 Through social events, community service, and home stewardship, we help to protect and foster the ongoing legacy of Crestwood. The neighborhood is composed of a mix of Tudor Revival, Bungalow and Spanish Eclectic homes built between 1924 and 1930. Like other great historic OKC neighborhoods, the homes are just a part of what makes us special. Explore the site to learn more! 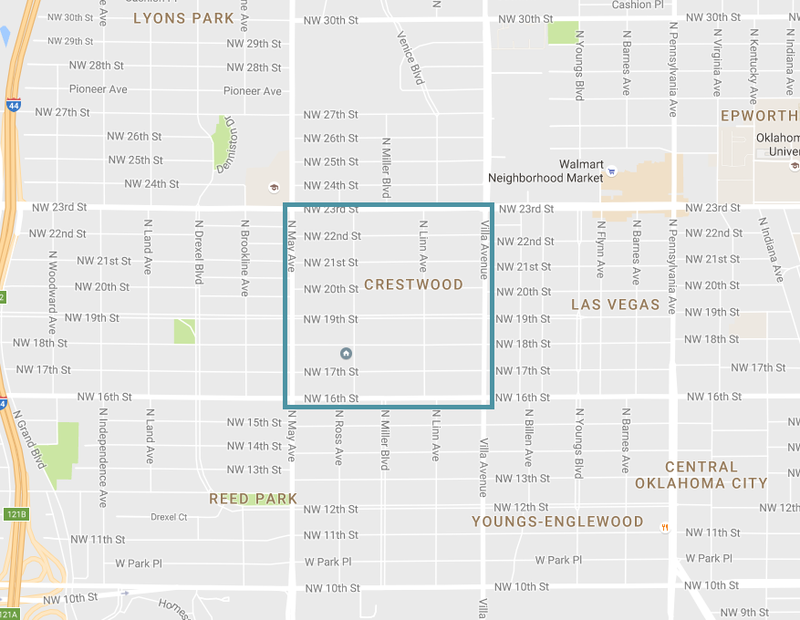 Crestwood is very much embedded within OKC's historic tapestry, uniquely situated within the urban core. Crestwood is more than its historic homes. It's centered in a city full of growth and revitalization. Keep up with what's going on in the neighborhood. There's something for everyone! Learn who we are, what we do, and where your dues go. Find out how to join the Association and how to pay your dues. View all Crestwood homes listed for sale.